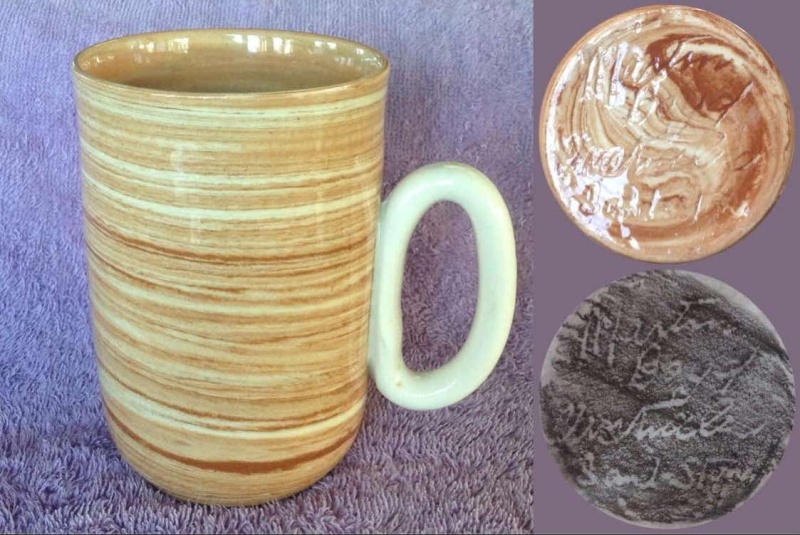 A slip-decorated hand-potted Martin Boyd mug with ring handle. I know the Powerhouse museum has a Martin Boyd history but I used the "Rameking" this time. Martin Boyd is the name used by Guy Boyd from 1948. According to "Rameking" the throwing was mostly the work of Les Collins. This slip pattern is called "Sand-Stone". I found a few pieces of MB sandstone on the web. References say 1950s, but I don't know whether that is accurate or just playing the averages.